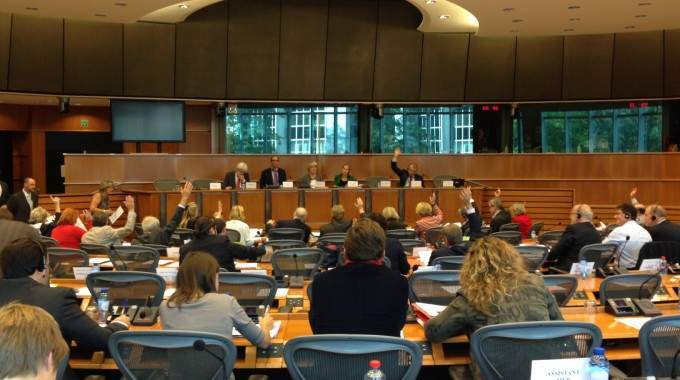 Last week the Constitutional Affairs Committee (AFCO) of the European Parliament approved a final report on the European Citizen’s Initiative (ECI). The draft report was presented in April 2015 and on the 28th of September the compromise amendments were voted upon. The compromise amendments proposed by the AFCO Committee highlighted the importance of fulfilling the potential of an ECI. These goals included increasing active citizen participation and agenda setting by the people. The ECI was called on to help strengthen the democratic legitimacy of EU institutions. Through this final report, the European Parliament is asking the European Commission for more transparency, more advice to the organizers for furthering campaigns, and clear explanations for ECI rejections. Some forward-thinking proposals include flexibility in registration and commencement of the signature collection process to make statements of support more uniform. Furthermore, translation services should be provided to encourage the spread of ECIs and in an effort to increase youth participation, the minimum age to sign an ECI should change from 18 years old to 16 years old. Most importantly, the Commission should be required to provide a legal decision within 12 months on the successfully registered and signed ECIs. The Parliament will also have the right to a plenary debate and a vote on successful ECIs. However, the Parliament rejected an ECI’s ability to request amendments to treaties. The Parliament also invited the Commission to consider the provision of ECIs with economic support, including radio and TV promotional programs. For more details, Democracy International’s European Programme Manager, Sophie von Hatzfeldt has recently published an article on Euractiv: A turning point for the European Citizens’ Initiative? For more updates on the ECI, please subscribe to our bi-monthly newsletter, the ECI Watch.